From the nation that brought us escargot and their own style of pastries, comes something a hell of a lot better than either of those items (to me), WOOD, from Rennes, France. In fact, when I think about it even more, WOOD just might be one of the best exports to arise from that country since wine or sophisticated cuisine. It’s true I tell you, as the trio – Ronan (guitar, vocals), Adri (bass, vocals), and Julien (drums, vocals) – recently released their very first studio offering since the band’s 2017 inception, the ‘Black Magic And Fire‘ EP. On it, the messieurs brandish an extremely dense, richly rifftastic style of sludge and heavy stoner doom throughout the expanses of its four songs. With plenty of groove to guide them along their way, the southern-hewn hardness of the two-part title track, “Black Magic And Fire Part I” and “Black Magic And Fire Part II“, get us right along OUR way. Thick, down-tuned guitar emissions, seemingly inspired by the likes of Tony Iommi or Woody Weatherman, slowly heft their weight forward while rhythms rumble, bob, and weave about. Gravelly, aggressive vocals merge with the thunderous music taking place, a recipe that renders one of the most superb songs yet, when third track “Roars Of Anger” arrives. Deep, indented trenches of groove guide the course, as those oh-so damned pummeling riffs refuse to be stopped. It is all transpiring while the accentuated drums pierce and punch their own pathway through the boggy, sonic swamp surrounding them. “Elevation“, the fourth, and last song, is unquestionably one of the EP’s most powerful cuts, one that sets itself far apart from its predecessors right from the start. With a tranquil, melodic guitar beginning things, it soon gives way to a fuller bombardment of music as the vocals become noticeably unlike the prior tracks. Hazy, distant, at times eerily ethereal, yet certainly the ideal accompaniment to the audio that routes and reflects them. 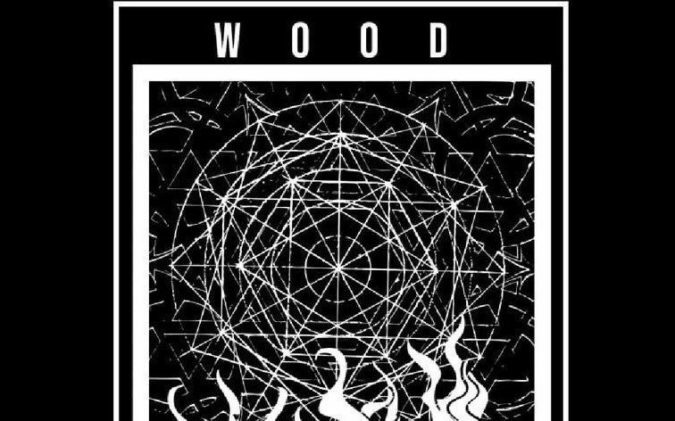 For their official first release, WOOD knock it out of the park with the ‘Black Magic And Fire‘ EP, a burly, beefy, brawny recording of fine caliber. It isn’t extremely often that you get something this good from a band relatively still this “new”, so do yourself a solid and check out the stream of the EP in this review. That, or head over to Bandcamp for further streaming and purchase options at this LINK.